The Floating Cinema moors at the Canalside Steps, Granary Square, from Thursday 17th to Sunday 20th September for four days of sci-fi screenings, cosmic shorts and an open air performance by Grimm Grimm. Featuring cult classics and rarities alongside talks and artist installations which explore the race for planet colonisation, visions of cosmic utopias and future intergalactic worlds. Film highlights of the event, part of Open House London, include free open air classic screenings of Silent Running (1972), Metropolis (1927), and Flash Gordon (1980) including fancy dress Flash Gordon fun and prizes for the best dressed. What are the best dining options near The Floating Cinema: Open Air Weekender: Humans in Space London? The Floating Cinema: Open Air Weekender: Humans in Space gyms, sporting activities, health & beauty and fitness. 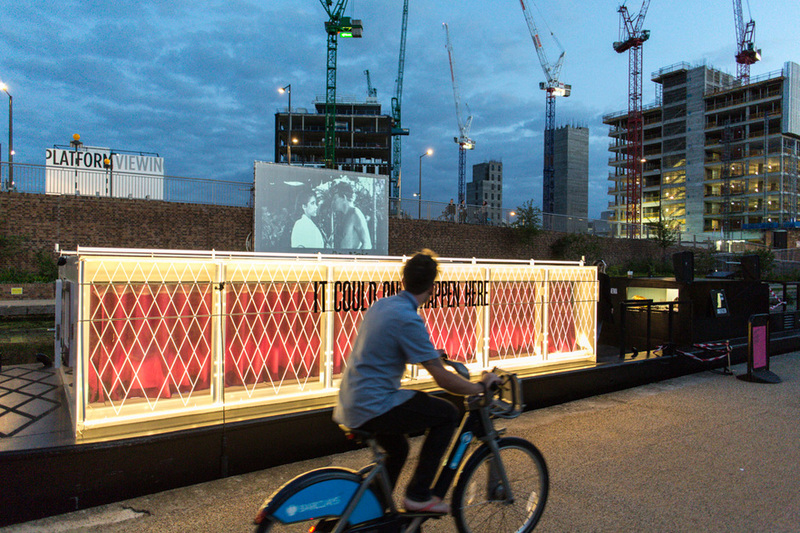 The best pubs near London The Floating Cinema: Open Air Weekender: Humans in Space. The Floating Cinema: Open Air Weekender: Humans in Space clubs, bars, cabaret nights, casinos and interesting nightlife. Where to have your meeting, conference, exhibition, private dining or training course near The Floating Cinema: Open Air Weekender: Humans in Space. From cheap budget places to stay to luxury 5 star suites see our discounts for Granary Square hotels, including ibis London Euston St Pancras from 0% off.